After the brief interruption to my sewing “to do” list (making the bag to Simplicity 2396) I had some fabric left over from making a waterfall fronted waistcoat for a friend’s birthday – what could I make with this remnant? 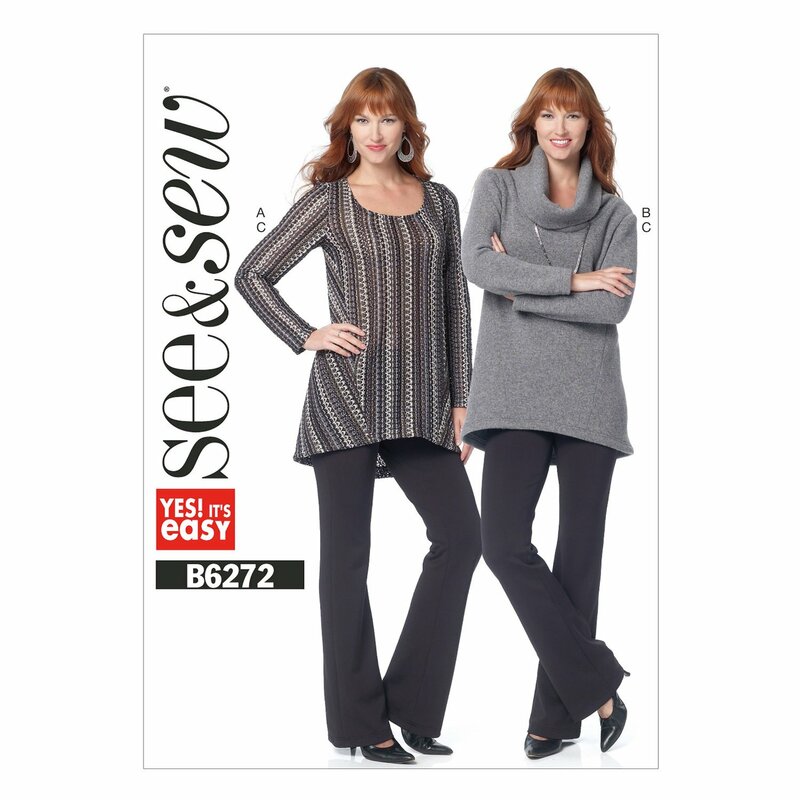 I sifted through my stack of recently purchased patterns and came across See & Sew B6272. This pattern offers 2 loose-fitting knit tops and a pair of straight-legged trousers. The tunic top view A looked a possibility so I checked the measurements of the pattern against my personal “dimensions” and decided that as this project was loose-fitting and to be sewn with a fairly “relaxed” knit, a size 18 should be fine. As I know that I have not been blessed with long arms, I reduced the length of the sleeves by 4 inches and the overall length of the tunic, also by 4 inches. 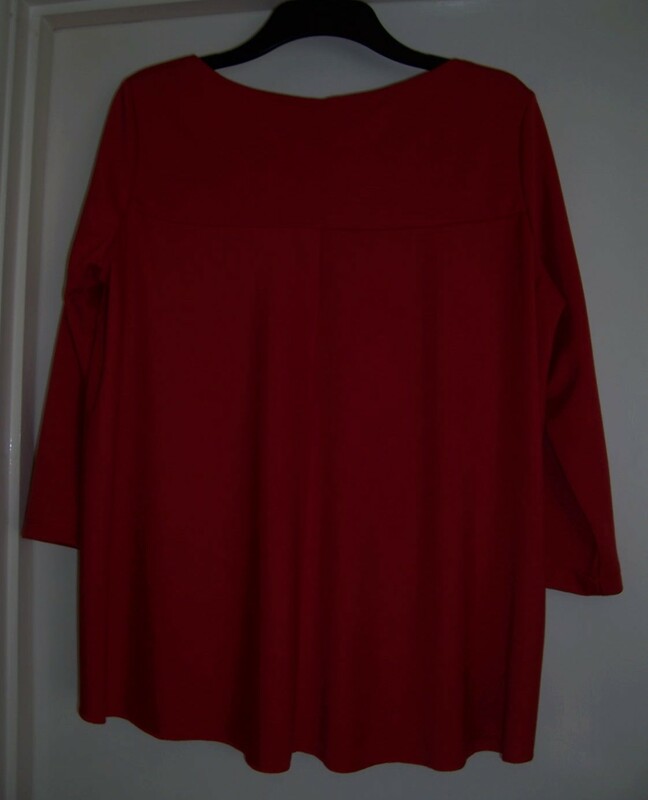 As the lower back pattern piece is placed on the bias, the reduction in length meant that I had just sufficient to make the tunic from my remnant of fabric. The construction was straightforward and within a very short space of timeI had a new tunic top. I stitched all the seams with the 3-thread overlocker plus a short straight stitch on the sewing machine. The shoulder seams were stabilised with a piece of selvedge fabric. 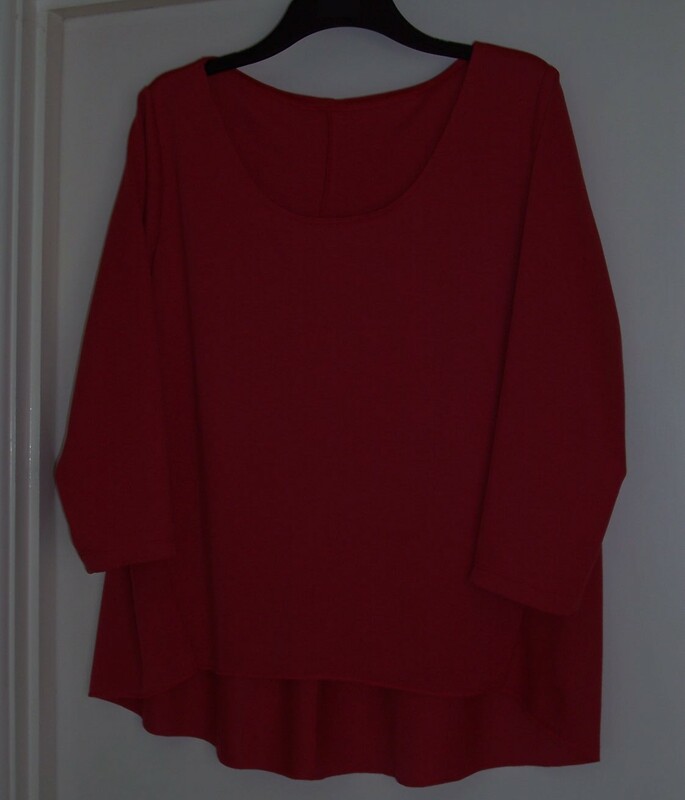 The neckline and sleeve hems were finished with my favourite twin needle. 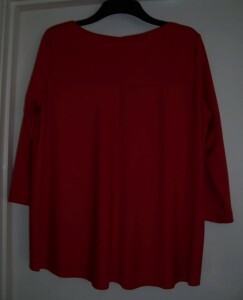 I will be making the top again but will reduce the overall sleeve length by just 2 inches rather than 4. Other than that no further alterations are required. Now where did I store the rest of my stash of jersey fabrics?